I was born in 1974, so the 1960’s is less than a blur to me. Consider, though, that Clemmons first appeared on Mr. Rogers’ Neighborhood in an episode that aired on August 1, 1968. Dr. Martin Luther King, Jr., had been assassinated less than four months earlier on April 4. The 1968 Democratic National Convention would begin in Chicago before that same month of August ended. Mr. Clemmons’ trepidation is understandable, but, considering the social context of that period, assuming that role was nothing short of heroic. Clemmons’ description of a scene from an episode that aired on May 9, 1969 was the part that moved me to tears. Mr. Rogers invites Officer Clemmons to cool his feet with him in a small pool and then proceeds to dry his feet with a towel. A half-century later, I don’t know how many of us can appreciate the significance of this act — notwithstanding the obvious connections to Maundy Thursday. 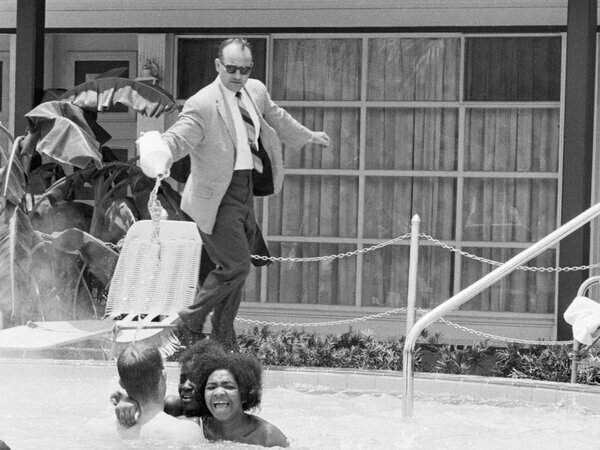 For a powerful counter-example, consider the heightened tensions across the South after the passage of the Civil Rights Act in 1964 when it came time to actually integrate beaches and swimming pools. What does Clemmons’ story tell us about vocation? 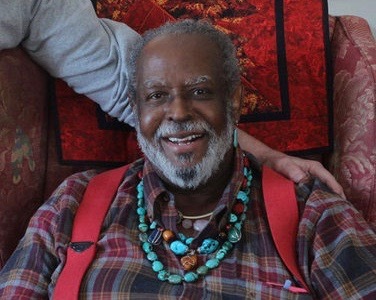 First, it serves as an excellent example of two people, Francois Clemmons and Fred Rogers, living into their callings. As difficult as vocation might be to define, anytime we find an example of others working for reconciliation, peace, and justice, we have to lift it up. Alabanza! When I shared my question with a colleague who teaches in the humanities, the response I received was less than encouraging. Of course Clemmons’ story had resonated with me: a middle-class, middle-aged, white, (need I say liberal?) NPR-listener. It was scripted to resonate with someone exactly like me. Would the story work with today’s millennials? Probably not. “What the heck do I have to do to be with you?” asks Justin. Naomi, the very pretty girl, doesn’t exactly say yes or no when Justin asks her to the prom. “I got you, girl, don’t sweat it.” Justin, the love-struck honor roll student, relies on his cousins to procure a small amount of marijuana for Naomi. “Justin had made an irreversibly bad decision.” We also learn a little bit more about Naomi’s backstory and how drugs had adversely impacted her family. As difficult as her work is, it must be done. In the end, Justin pleads guilty to a felony. If I am doing my job, and I am doing it right… what, exactly, am I doing? It shouldn’t be a difficult question! But how often do we ask it? How often can we ask it? The power of these narratives is to engage the listener in a deeper discernment about what their work might ultimately mean to other people. Does this work, and how it is finally executed, build or subvert community? Are the people who are touched by this work made more whole, or does this work advance the cause of some at a terrible cost to others? For Mr. Clemmons, the answer to both questions should be clear. But still, the fact that it was hard for him to assume the role of Officer Clemmons suggests that achieving these ideals is never trivial — even when the task at hand is simply modelling a better world on a soundstage. How much harder can it be to achieve these ideals in the real world? The story of Justin and Naomi illustrates exactly how hard it is. Is vocational discernment all about finding a job that we love and then never working a day again in our lives? Somewhere between this simplistic version and Ruskin’s, we should be able to find some fertile soil. We clearly need good story-tellers for any of this to work, and Miranda’s popular success certainly qualifies him as a good story-teller. You have to ask yourself, though, of all the stories out there to tell, why choose these? In the Heights, 21 Chump Street, and, of course, Hamilton, all engage with vocational discernment, but the message is both subtle and incredibly honest about the perils one is likely to encounter on the journey.